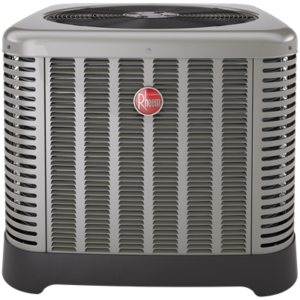 The EcoNet™ Enabled*, inverter-driven Rheem Prestige™ Series Variable-Speed Air Conditioner offers the solid technology and energy-saving performance you’ve come to expect from Rheem – and with EcoNet technology, your home comfort is under control no matter where you go. 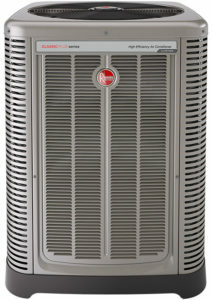 The EcoNet™ Enabled Rheem Classic Plus™ Series Two-Stage Air Conditioner offers the solid technology and energy-saving performance you’ve come to expect from Rheem. It’s the quiet indoor comfort your family deserves. 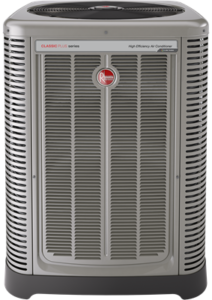 The Rheem Classic® Series Air Conditioner offers the solid technology and energy-saving performance you’ve come to expect from Rheem. It’s also quiet, so you won’t give your home comfort a second thought.